The IMU mounts differently because of the headlight . The R fits the same as the base . Last edited by wilkson; Dec 2nd 2015 at 11:31 PM. That IMU 1199R 2015 plastic mount set up lookslike its more flexible to being used with race bracket. I wonder if it can just be mounted directly to a race bracket and be at the correct angle???? I'm gonna have a go at making the 1299S Plastic IMU mount work at first. First need to level the bike up, then mount one side of it to race bracket with dash on showing the lean angle on dash and get it straight, then the problem of getting the other angle right so it doesn't causes problems with the anti-wheelie control, which I'm guessing ? I will only find out when I ride the bike ??? My own created IMU bracket, it works on the original front fairing bracket and at an DBHolders front fairing bracket. I see no rubber gromet or washer in there, so I assume you've not had any issues with errors due to vibration? 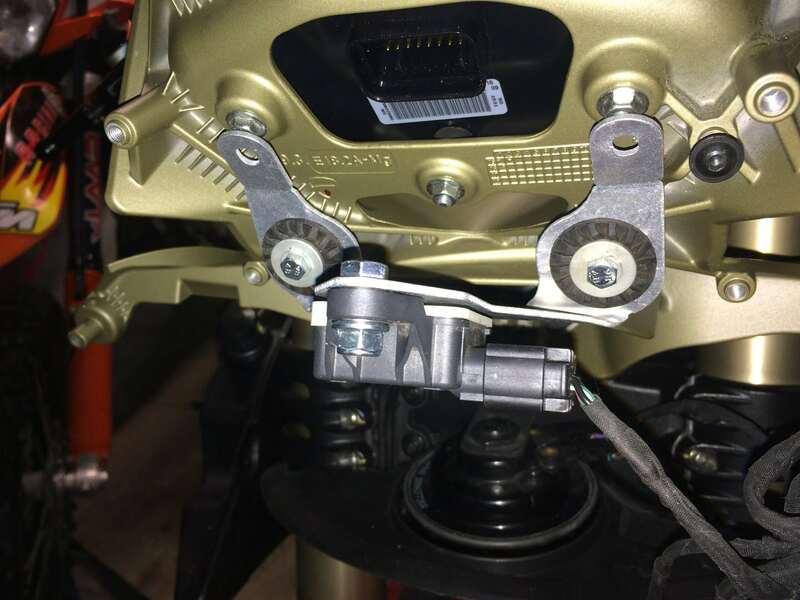 As above the one on the motoholders bracket looks like it will cause problems? When I first did my R I used a similar setup and it would cut the power when exiting the corners as if I had the TC set high. I ended up going back to stock headlight blank as I was frustrating trying to solve it. The one on the rubber grommets looks better but I'd imagine with the grommets on the vertical that the unit is going to move too much still? 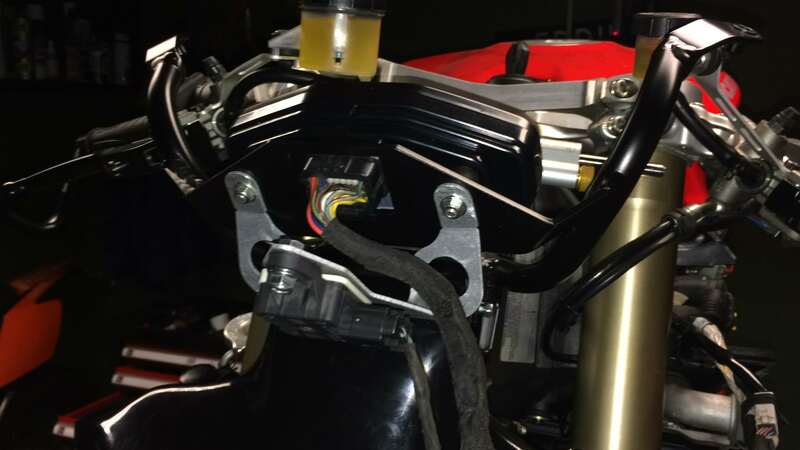 I have a 2014 1199 Superleggera and was wondering if anyone knows where I can purchase the IMU bracket to use with race fairings? My setup with the Motoholders 1299 fairing stay still transfers way too much vibration. I’ll figure something better out since my short season is over.